So how "bad was September..? 10 Major Dijit (Major Digit on the sleeves) plates from AliExpress! More of my favorite brand in plates: UberChic!!! More of the wonderful stamping polishes from Dance Legend! 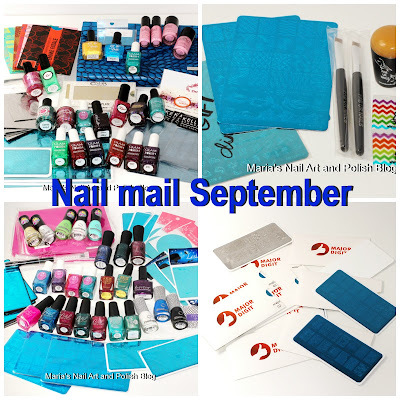 More of the wonderful Fab Ur Nails stamping plates and extras of the kolinsky clean up brush, that I love to bits <3 - and the sweet Johanne added an extra stamper and a discontinued plates as a gift - thank you sooo much! My first Kelli Negri (Esmaltes da Kelly) plates! My first plates from Sugar Bubbles and Mundo de Unas! My first Decor Unhas plates. 6 more of the wonderful Moyra plates + an additional plate holder. 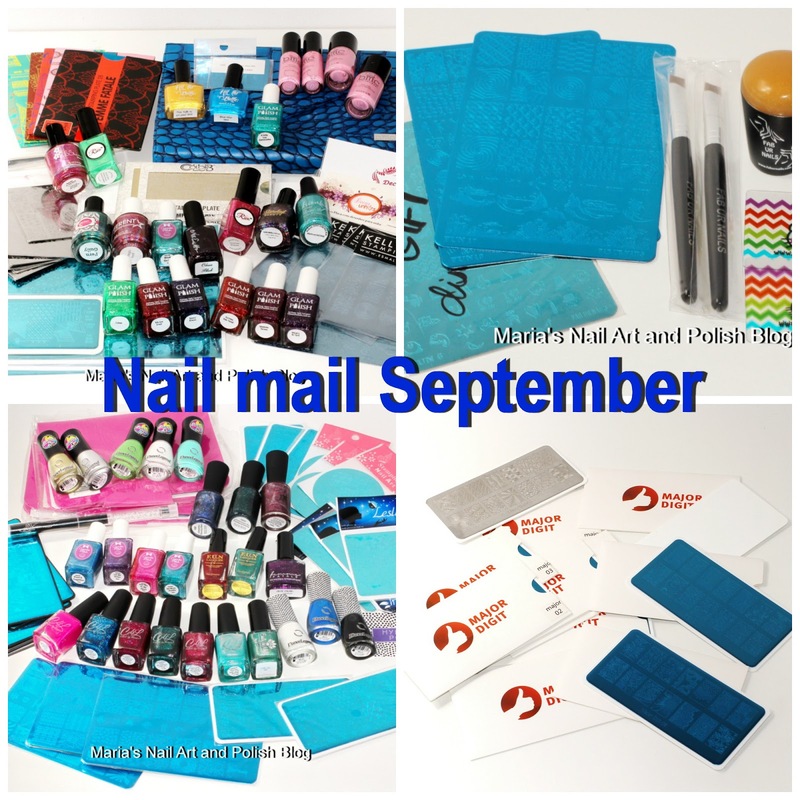 The Holo Hookup August box. You have been a bad girl ;) I really want to buy more plates too. Looks like a lot of fun stuff!